Trip sponsored by the Springfield CVB. 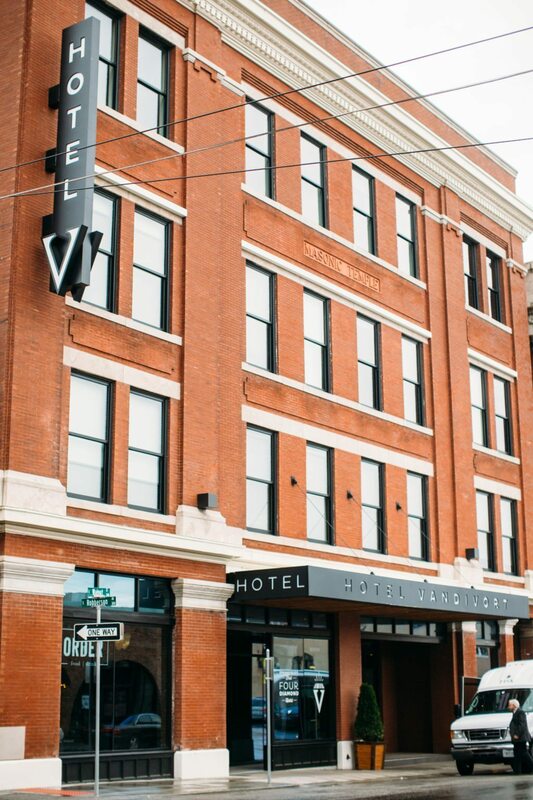 Special thanks to Hotel Vandivort. All opinions are my own. 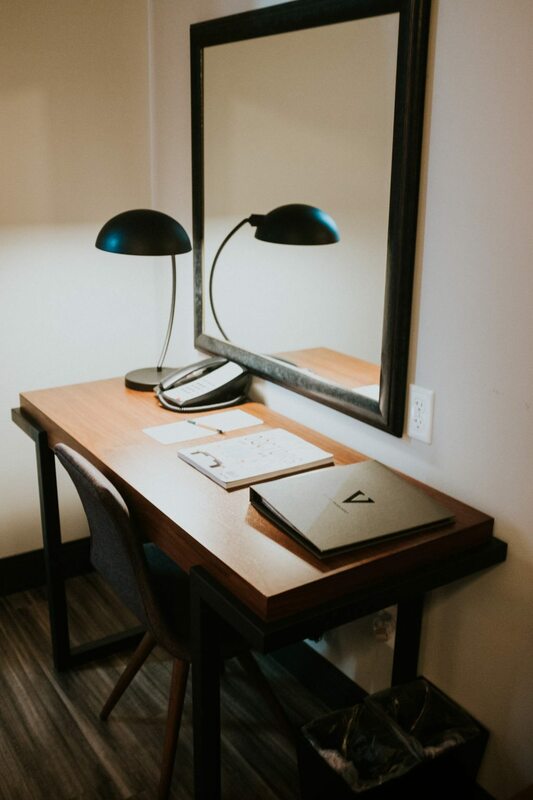 Last month, my aspiring travel blogger dreams came true when I received an email offering me the opportunity to visit Springfield, Missouri. My initial thought (after “sign me up!”) was — what is one to do in SGF for four whole days? A lot, apparently! The Springfield Convention & Visitors Bureau planned a busy and unforgettable itinerary for our group (which included old and new friends: Jasmine, Chelsea, Kathy, and Stefanie). 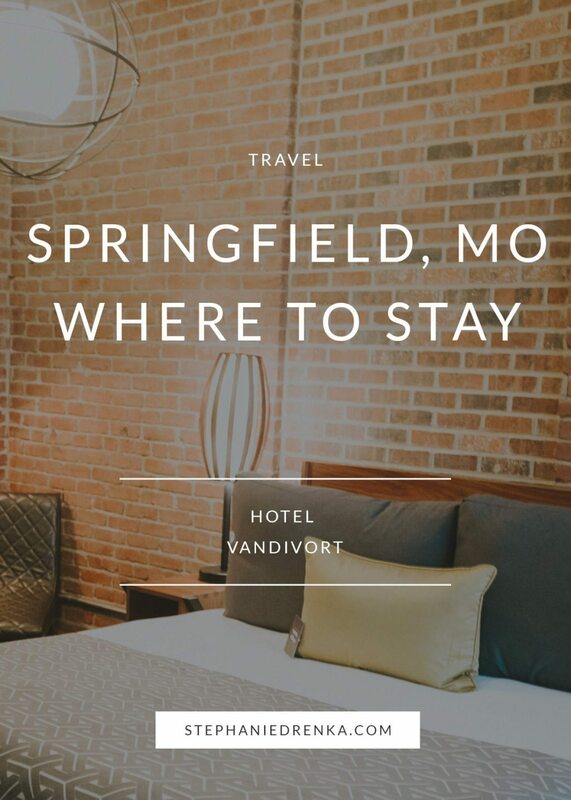 I’m looking forward to sharing more details from our adventures over the next week, but for this first post I decided to start at the beginning… checking into Downtown Springfield’s hottest accommodations, Hotel Vandivort. 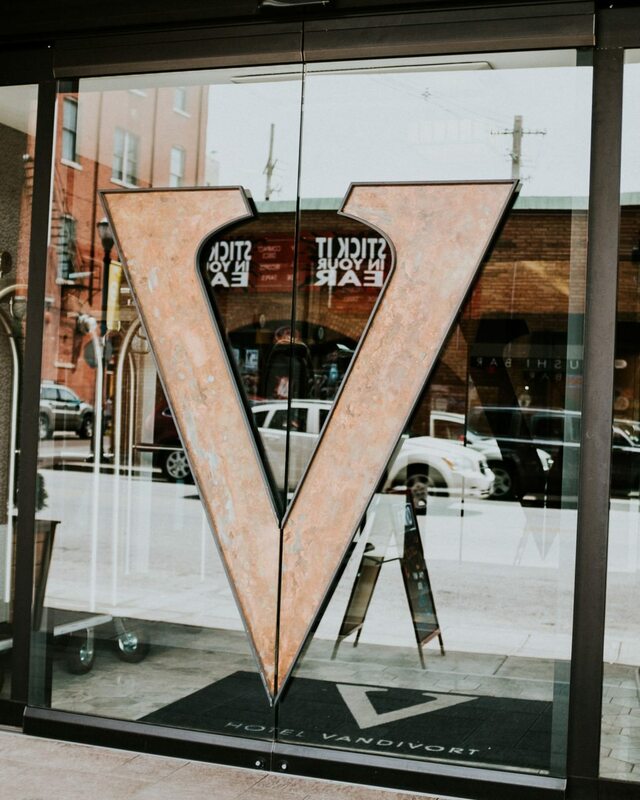 Hotel Vandivort was originally a Masonic Temple built in 1906, and has since been used as office space and a theater. 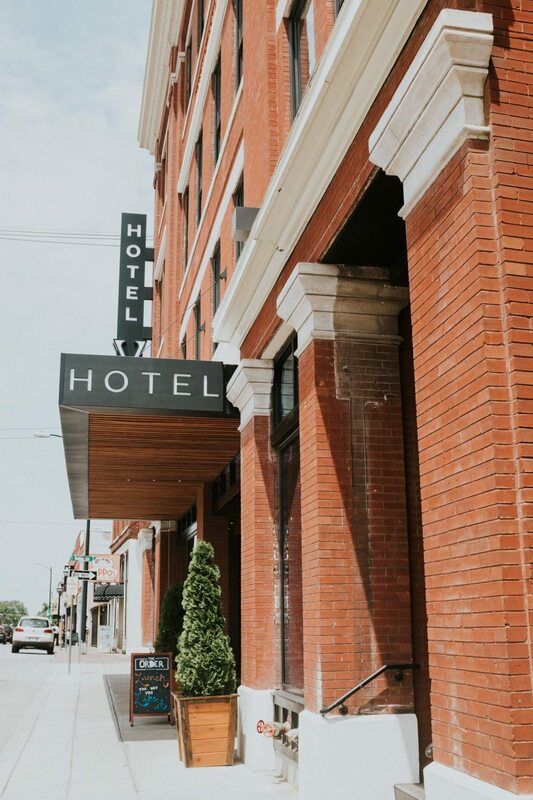 Springfield natives John and Billy McQueary purchased the building and renovated it into the city’s first boutique hotel which opened its doors in July of 2015. 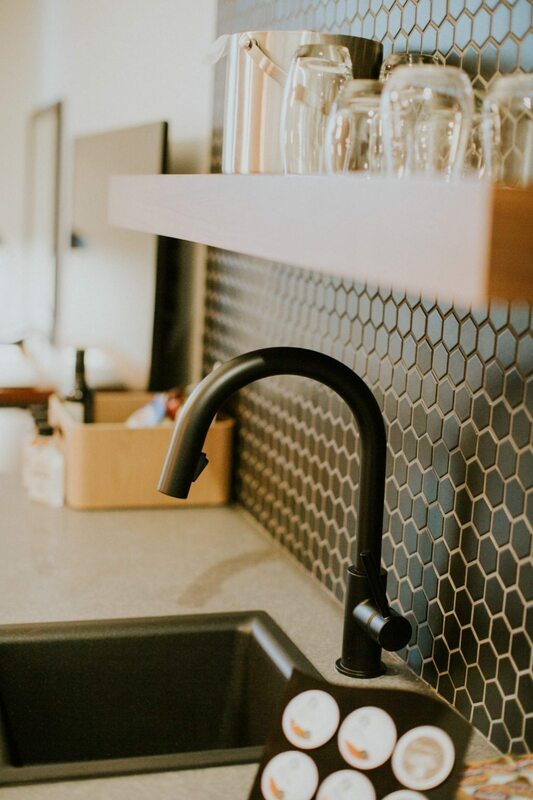 The property pairs modern design with a vintage vibe and boasts sustainable operational practices and products, with a strong focus on locally sourced food and drink– even artwork. 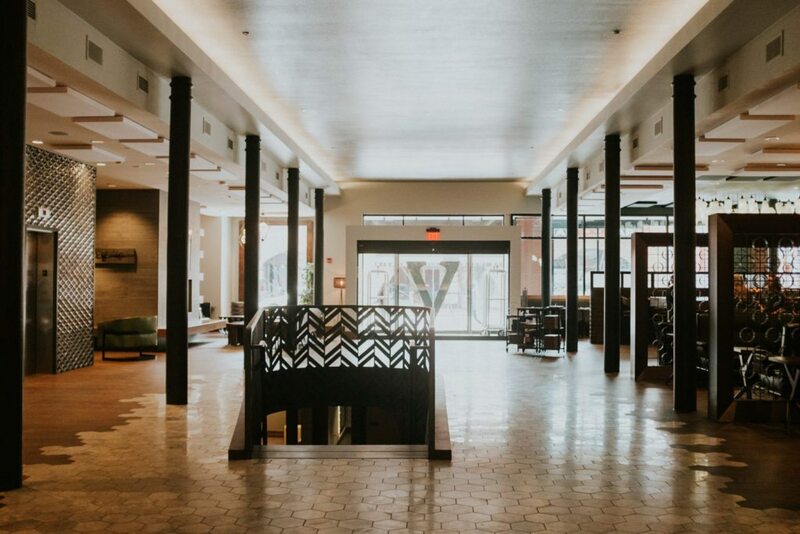 The hotel, whose lobby has been nicknamed “Springfield’s Living Room,” is upscale without pretension. (Can a hotel be dapper?) It’s as welcoming as it is photogenic. 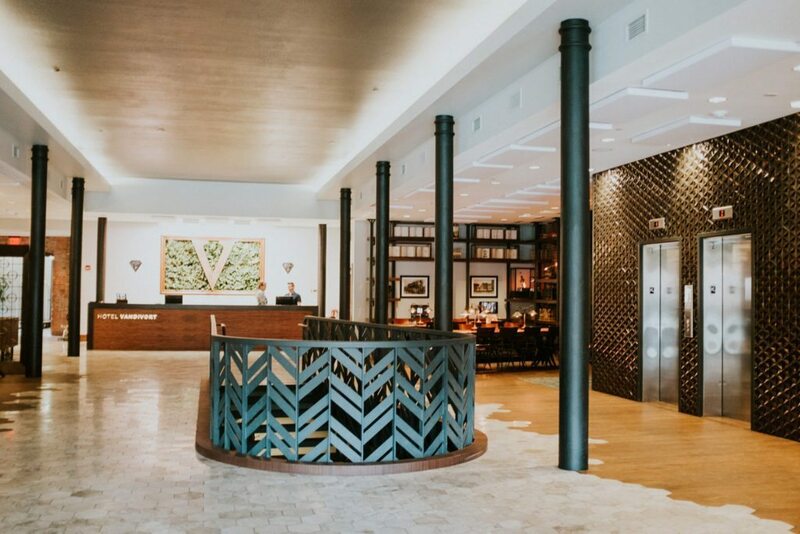 Every nook and cranny of the property begs to be Instagrammed by you, and the staff is so friendly that you don’t fear judgment doing just that. In fact, the hotel’s public restrooms have become an iconic spot for selfies thanks to the amazing lighted mirrors. 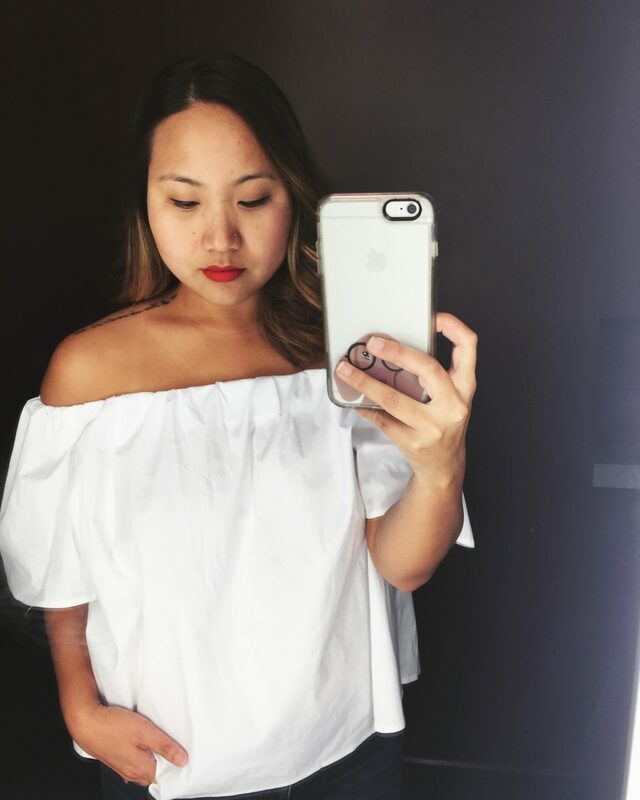 (#hotelvandivortbathroomselfie… it’s a thing!) Seriously– Glamour Shots be darned, the lighting in these unisex bathrooms would transform even the most camera-shy individual to a modern-day Narcissus discovering his/her perfectly-lit reflection for the first time. 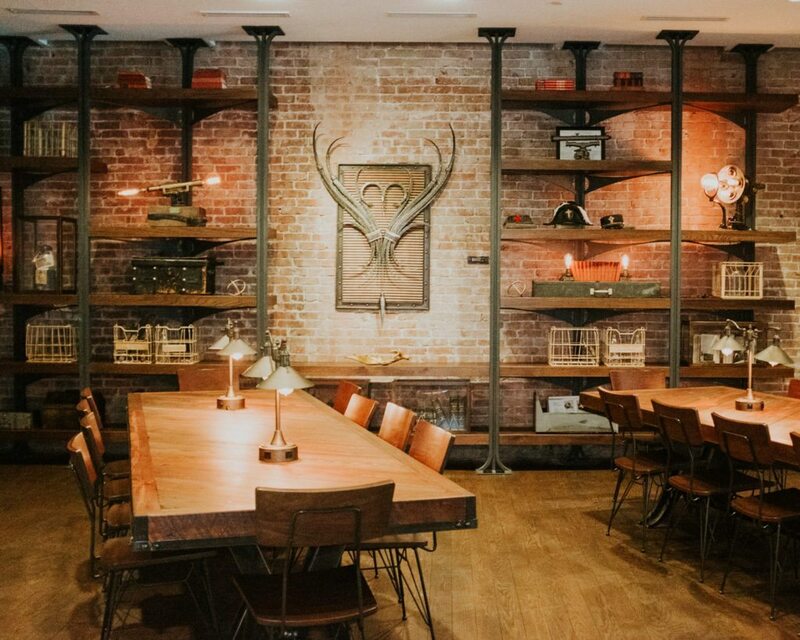 I stayed in one of “The Modest King” rooms, featuring a wet bar and exposed brick. #wallgoals ? Every touch was thoughtful and unique. In web/user experience design, we refer to the small humanizing details on a site or app as microinteractions. 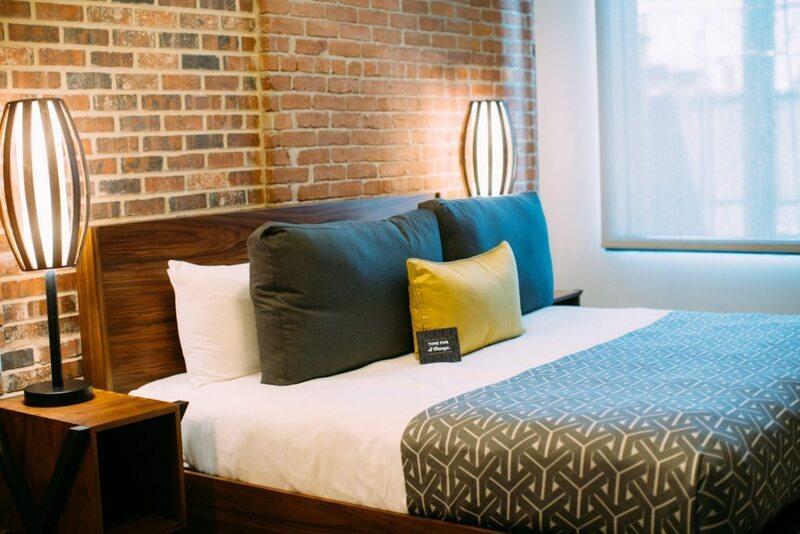 Hotel Vandivort is a property full of delightful and clever microinteractions. From the labeled electricity switches for each light in a room to the options for Do Not Disturb door signs, including my favorite option which simply read Nope, the room seemed to have a personality of its own (in a totally not-haunted way). 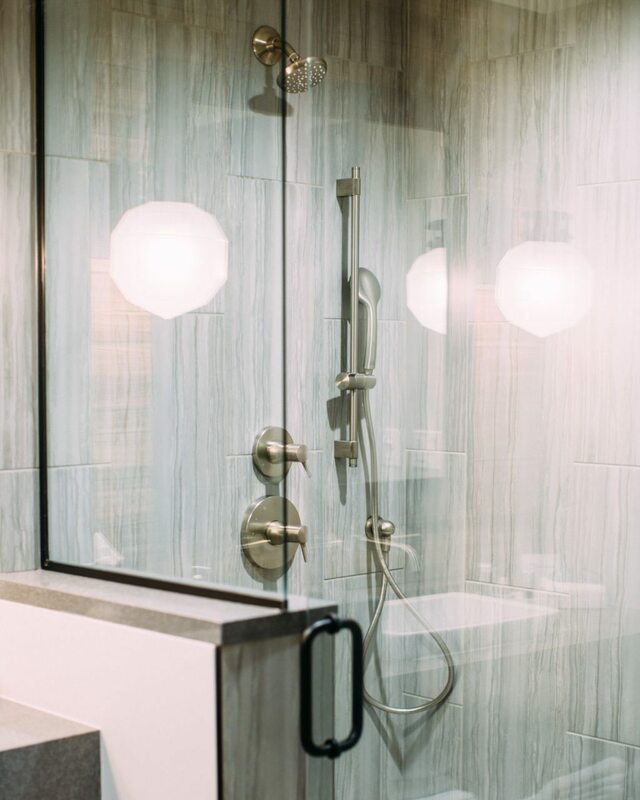 Click here to book your stay, and start practicing your #hotelvandivortbathroomselfie poses! i got so much home decor inspiration during my stay lol. Thank you, Lisa!! It was easy — the hotel was so photogenic hehe. Charming hotel! ? I love your photos and the writing! More power to your blog! Thank you so much for your sweet comment, Joanna!